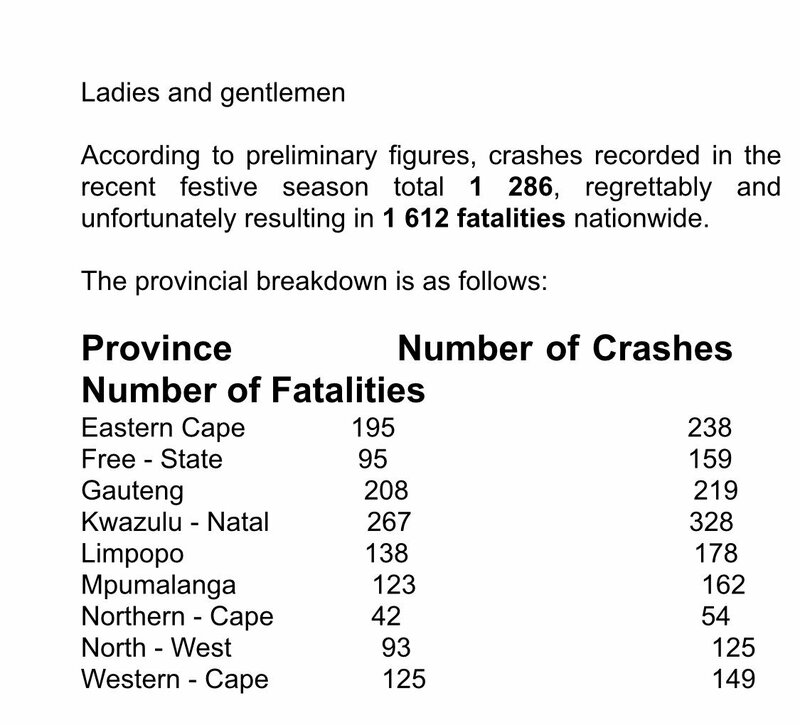 The Eastern Cape recorded the third highest number of road fatalities and the second highest number of crashes over the December holidays, according to the preliminary Festive Season Road Safety report released by Transport Minister, Blade Nzimande, on Wednesday. 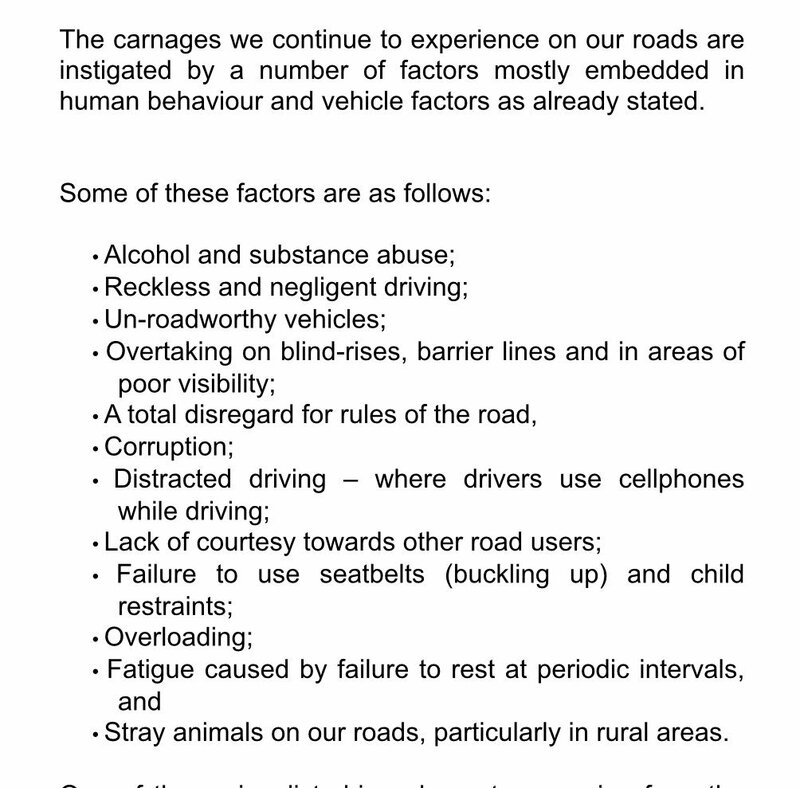 Only Gauteng and the North West recorded percentage decreases in the number of fatalities. He said that 775 roadblocks were held nationwide over the festive season - an increase from the 440 held the previous year. 1 358 619 vehicles were stopped and searched at these roadblocks compared to the 1 281 062 that were stopped the previous season. Nzimande said that over 765 000 fines were issued over December compared to the 290 023 issued the previous year. Over 8 500 drivers were arrested for various road related offences compared to the 6 441 arrested in 2017. 2 223 drivers were actually arrested for drunk driving while 775 were busted for speeding. “As we noted when we released the mid-season report on December 22, 2018, we remain concerned about the involvement of trucks and minibus vehicles in major horrific road crashes,” he said. The Minister said that an analysis of these shows a disturbing trend where drivers from neighbouring countries were involved in some of the major of crashes in which five or more people died. During the same period, authorities paid attention to corruption, which resulted in the arrest of 17 officials implicated in the fraudulent issuing of learner licences and roadworthy certificates. "The officials were arrested in Gauteng, KwaZulu Natal and Limpopo," Nzimande said.